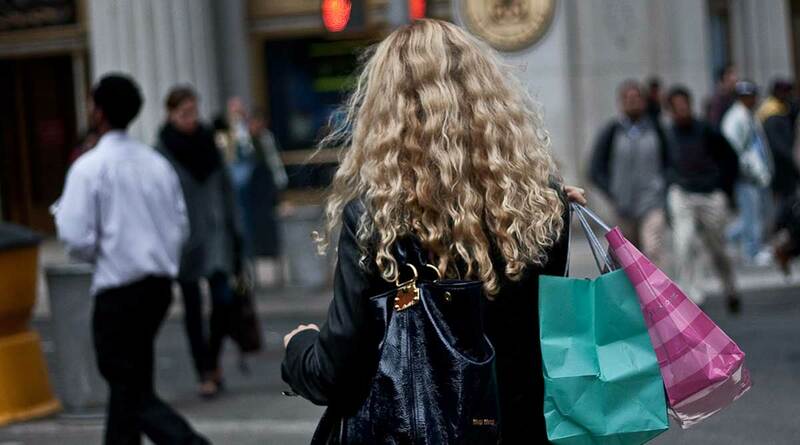 U.S. consumer spending rose at a solid pace in December after an upwardly revised advance a month earlier as shoppers splurged during the holiday season. While incomes also rose, the saving rate fell to a fresh 12-year low. Purchases, which account for about 70% of the economy, climbed 0.4% after a revised 0.8% advance, Commerce Department figures showed Jan. 29. The December gain matched the median forecast in a Bloomberg survey. Incomes also rose 0.4% as worker pay climbed the most in three months. The data are in sync with a report last week that showed faster fourth-quarter consumption, which put the biggest part of the economy on a firm footing entering 2018. In addition to low borrowing costs and steady hiring, Americans will benefit from lower tax rates. A pickup in wages would provide further impetus for spending. The Federal Reserve’s preferred inflation gauge — tied to consumption — rose 0.1% in December from the previous month and 1.7% from a year earlier. Inflation has mostly missed the central bank’s 2% target since 2012. Excluding food and energy, so-called core prices climbed 0.2%, matching the survey median. The core was up 1.5% from December 2016. While inflation remains below the Fed’s goal, officials are expected to keep raising rates gradually in 2018. Investors project that policy makers will raise rates three times this year, possibly starting as soon as March. Central bank officials are meeting Jan. 30 and Jan. 31. December’s personal spending data were already incorporated into the fourth quarter GDP report that featured considerable acceleration in consumer activity in the period relative to the third quarter. However, the intra-quarter trajectory of spending growth reflects a boost from an exceptionally strong holiday season, as both the November and December readings were stronger than the pace in the beginning of the quarter. While enthusiasm toward potential tax cuts could be helping to stoke consumption, the more dominant driver appears to be an emerging pickup in household income creation, particularly, the upward trend in the wages and salaries component. Wages and salaries increased 0.5% in December after a 0.4% gain, the data showed. Disposable income, or earnings adjusted for taxes and inflation, rose 0.2% after little change a month earlier. Fourth-quarter household consumption expanded at a 3.8% annualized rate, matching the fastest pace since the end of 2014, Commerce Department figures on gross domestic product showed Friday. GDP increased at a 2.6% pace, slower than forecast, as trade and inventories subtracted from growth.